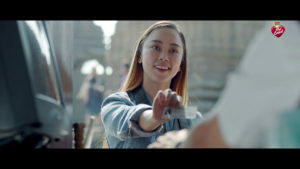 As India recently celebrated its 70th Republic Day, Prime Focus Technologies’ latest digital film for Brooke Bond Red Label throws light on the discrimination towards Indians from the Northeast. Often regarded as foreigners owing to their distinct appearance, Indians from the Northeast region have been continually subjected to stereotyping in their own country. The film highlights one such instance, where the protagonist is asked to show her passport for entry into a local museum, as the staff simply assumes she’s a foreigner. The poignant ad is part of Brooke Bond Red Label’s landmark campaign – #Unstereotype, which aims at busting stereotypes and fostering a welcoming culture of inclusion. An earlier film (also produced by PFT) under this campaign focused on raising awareness about dwarfism and shattering popular stereotypes associated with it.